1. “If we were in charge …” and then we excitedly spill out possibilities with no regard to our current authority or resources at our disposal. Note that the “what” of our charge shifts at our creative whim. Sometimes we’re in charge of the UUA. Sometimes we’re in charge of the world. Sometimes the imagination playground is inspired by a book we’ve both read. Last year Carey turned me on to American Grace by Robert Putnam, and that still makes appearances in our conversation. 2. “However, we aren’t in charge. And we still can …” is the second, perhaps most important part of our exploration. We get real with what is our current authority and responsibility and “our work.” Accessible resources magically sparkly with new and variant possibilities. Partners within and outside our system become apparent. Strategies begin to take form. We both come away feeling energized and inspired by our partnership. I encourage you to seek out a partner to try these questions within the context of your leadership. Don’t go to the most obvious partner in your system. But do find someone who is also passionate about growing our faith and is clear in the mission of your community. Please tell us what jumps out at you in the comments. What excites you? Gives you frown lines? And feel free to share the presentation. I think this would be a great piece to show at a board meeting or staff retreat. 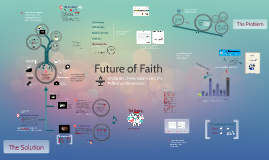 Carey McDonald is the mind behind Future of our Faith. Carey joined the Office of Youth and Young Adult Ministries in the summer of 2011. 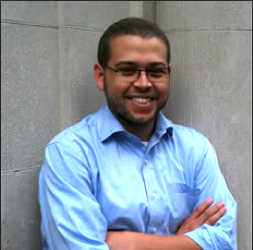 He most recently worked as the staff director for a statewide advisory body, the Ohio School Funding Advisory Council, where he has focused on education reform, educational equity and “closing the achievement gap.” He has also worked as a budget analyst, policy advisor and legislative aide, and has considerable experience in political campaigns and organizing. Throughout his varied career, Carey has focused on creating a world more just through a community more loving, and is excited to bring that inclusive approach to the helm of the Youth and Young Adult Ministries Office. Carey is a seventh-generation Unitarian Universalist who was active as a youth with Young Religious Unitarian Universalists (YRUU). He is formerly a member of the Ohio-Meadville District Youth/Adult Council, was active as a youth in Diverse & Revolutionary Unitarian Universalist Multicultural Ministries (DRUUMM), and served three times as a delegate to General Assembly. Before moving to Boston, he was an active young adult in his congregation in Columbus, Ohio, as a member of the Young Adult Covenant Group and chair of the church’s Annual Budget Drive. He also has served in recent years as a lay member of the Ministerial Fellowship Committee. Carey has a Bachelor of Arts (BA) in Economics from Pomona College in Claremont, CA. He lives in the Dorchester neighborhood of Boston with his wife, Sarah.